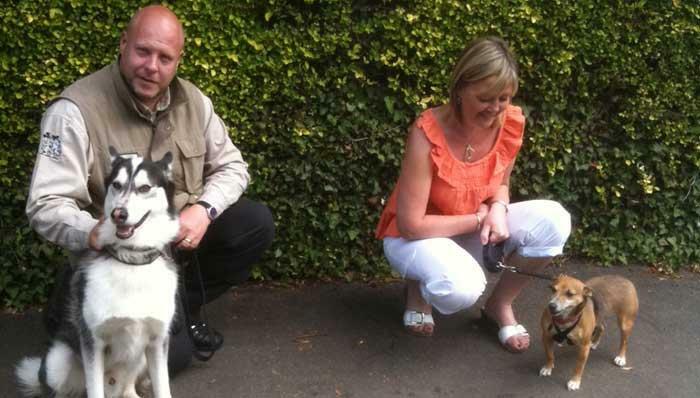 Welcome, and thanks for visiting Bark Busters Home Dog Training Uttoxeter. 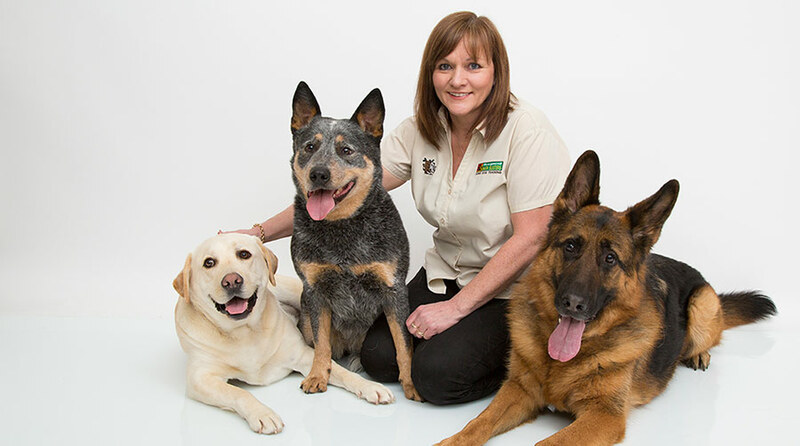 I’m Lee Hardy, your local Bark Busters Trainer and Behaviour Therapist here to help you with any problems you may be experiencing from your dog. If you’re reading my page, you are no doubt struggling with some aspect of dog behaviour or training and looking for some professional help. Whatever problems you are experiencing, you are not alone even though it might sometimes feel like yours is the only badly-behaved dog in the area! I can assure you that I have been in the position you are now, struggling to cope with a dog who has behavioural issues, not wanting to give up on your dog, but unsure of where to turn. It was my own experience with my black Labrador, Rannan, 18 years ago that prompted me to call Bark Busters for help. I was so blown away with the results that I decided to train to become a Bark Busters trainer and behaviour therapist myself. I have now trained over 3,500 dogs and their grateful owners during my 18-year career with Bark Busters. I meet many people from various walks of life with different breeds of dog displaying every imaginable behaviour problem. The common link between my clients is that their dog’s behaviour is causing them stress, and they want it to stop. It could be aggression, nuisance barking, destructive behaviour, toileting, poor recall, pulling on the lead, separation anxiety, sibling rivalry, boisterous behaviour, or anything else where you feel that your dog training is not working. My training system is easy to understand and based on teaching you how to communicate in a fast, effective, kind and consistent way so that your dog will understand what you need of them. From our very first lesson your dog will understand what you are trying to communicate and gain the confidence in you. My training is easy to follow, your dog will relax very quickly and will be much happier. There is a never a need to become physical or punish your dog if you follow my simple system of training. If you are the owner of a new puppy, I can help you with puppy management so that you get off on the right track from the start and avoid the risk of future problems developing. My puppy training is fun, gentle and very positive. Puppies learn in short bursts with lots of praise and should never be punished for mistakes. I have a 5-month-old puppy myself and have integrated her into our family of 3 humans and 3 other dogs without a problem. This is because I understand the importance of good-quality food, regular feeding, careful introduction to older dogs, time to play, healthy things to chew on, and plenty of opportunity for uninterrupted sleep. I will happily share all this knowledge with you to help you have the best dog you can. Although our training is home based you'll still have the opportunity to take your dog out for walks if you wish to do that as part of your training. If you're experiencing problems outside the home such as pulling or aggression, I can show you the training techniques to follow to resolve these problems. If you would like to know more about me and the services I offer, please give us a call on freephone 0808 100 4071 and a lovely lady called Amanda will call you with all the information you need with no obligation. You can also take a look at my reviews from satisfied customers. Just click on the reviews button. I also have a Facebook Page https://www.facebook.com/BarkbustersDerby/ where I share lots of pictures, interesting articles and fun facts about dogs, so please feel free to visit and ‘like’ the page. Absolutely delighted with our first session with Lee. We felt really positive and are confident he will be able to help us achieve our goals and teach us how to take more control of our dogs.